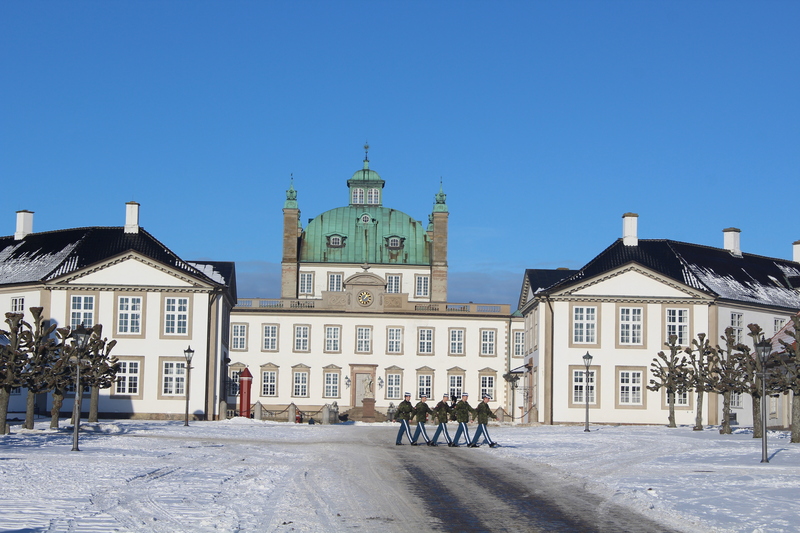 Fredensborg Slot vinter 2016 – oplev den unikke barokhave dækket af sne, sol og blå himmel. Text and photos Erik K Abrahamsen. 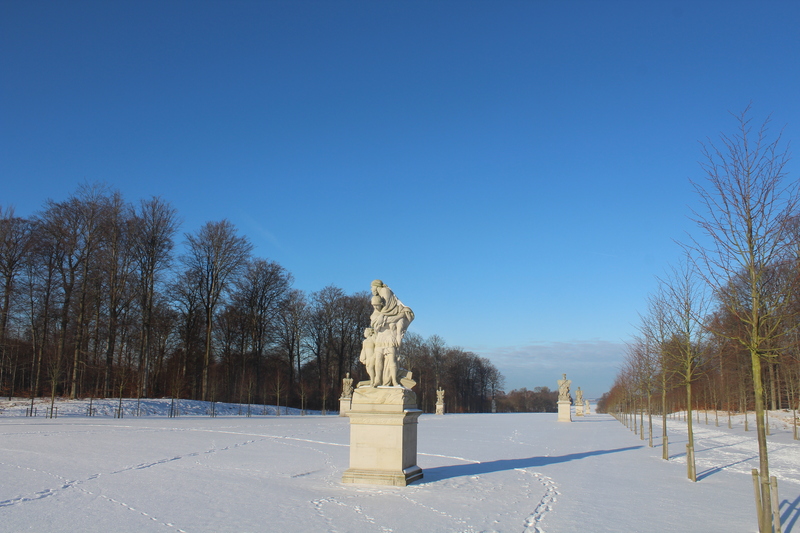 Its winter in Denmark – down to minus 16 degrees and 10-20 cm snow all over Denmark. 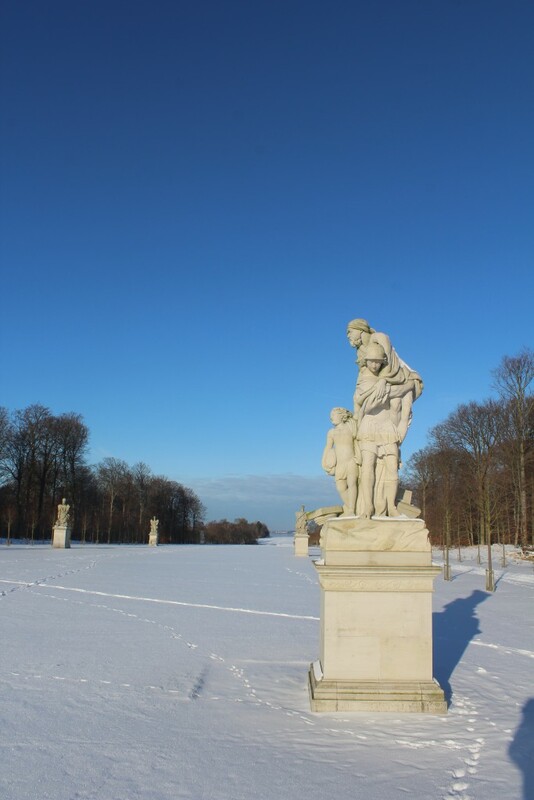 On a beautiful sunny day 22. january 2016 with blue sky I visited Fredensborg Castle Baroque Garden. Click on photos and use your zoom control and you see them in full screen size and text on right side of photo disappear. 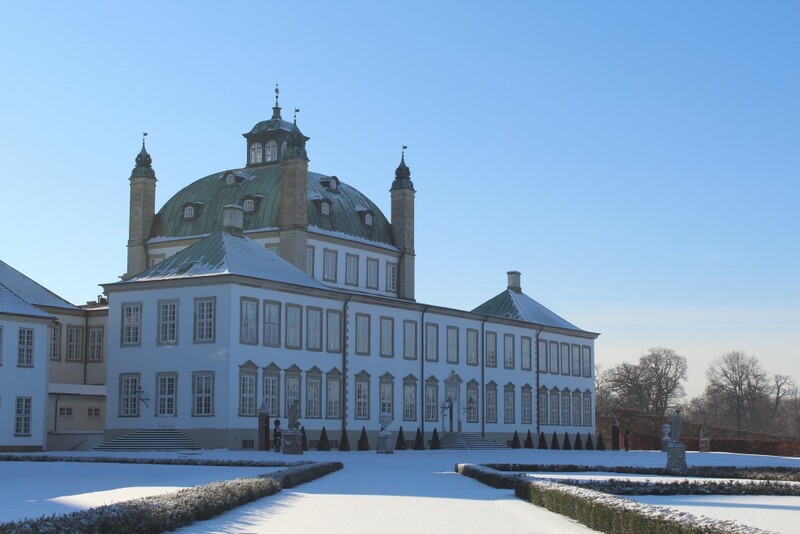 Fredensborg Castle builded and baroque Garden 1720-76 by Frederik 4 (1671-1730), king of Denmark and Norway 1699-1730. Photo 22. january 2016 by Erik K Abrahamsen. Fredensborg Castle is buildt in 4 stages between 1720-1776 with the best architects in Europe involved: I.C. Krieger (1683-1755), Laurids de Thurah (1706-59), N.-H. Jardin (1720-99), Nicolai (Niels) Eigtved (1701-54) and C. F. Harsdorff (1735-99). 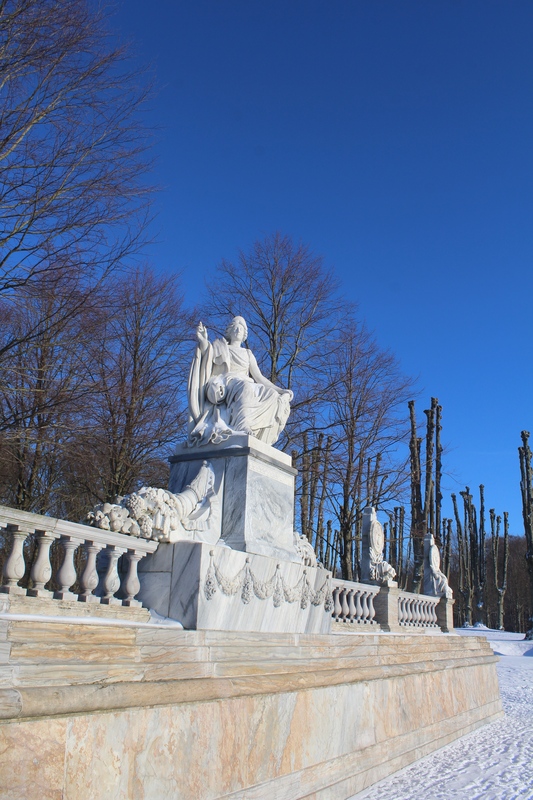 The baroque garden is created by I.C. Krieger in 1720 and expanded by N. H. Jardin and ornamented by danish sculpture Johannes Wiedewelt 1760-70. To celebrate finish of the 200 years war (1520-1720) between Denmark and Sweden King Frederik 4 of Denmark and Norway decided to build a residence- and hunting peace castle on the existing hunting ground “Østrup Vang” owned by his father King Christian 5 (King of Denmark and Norway 1670-99) since 1678. 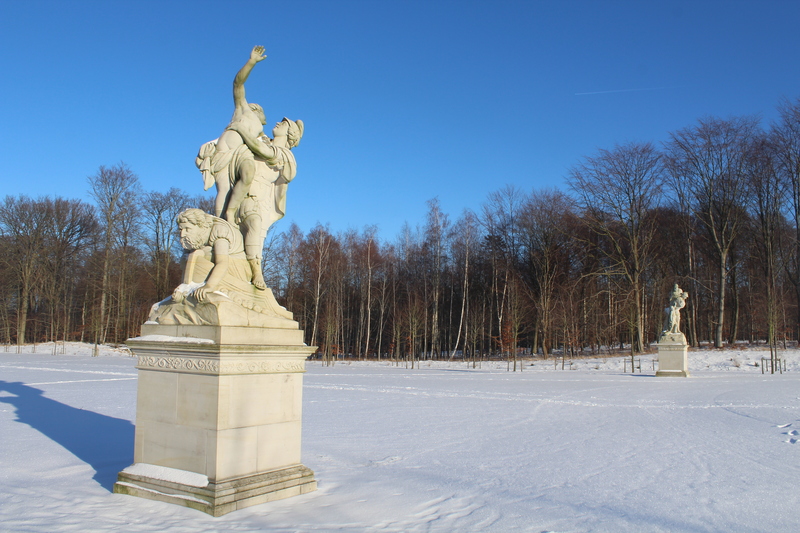 In 1662-63 King Christian 5 visited the french King Ludvig 14 (1643-1715) and was inspired of the hunting tradition at Versailles hunting castle called PARFORCE – HUNTING. King Christian introduces Parforce Hunting in Denmark and constructed a hunting ground north of Copenhagen called Deergarden – Dyrehaven (Jægersborg Dyrehave) around 1670. In a big forest hunting areas hunters on horses together with dogs chases red deer, wild boars and foxes. The king and his participants exhaust the deers. At end of hunting the king on foot walk to the exhausted deer with a hirchfaenger – a short sword (knife) with a double edge and kill the exhausted deer. King Frederik 4 had learned Parforce Hunting by his father King Christian 5. In 1692-93 and 1708-09 Frederik 4 visited Italy and was inspired by Italian garden- and castle architecture. Click on photo and use your zoom control and you see them in full screen size. 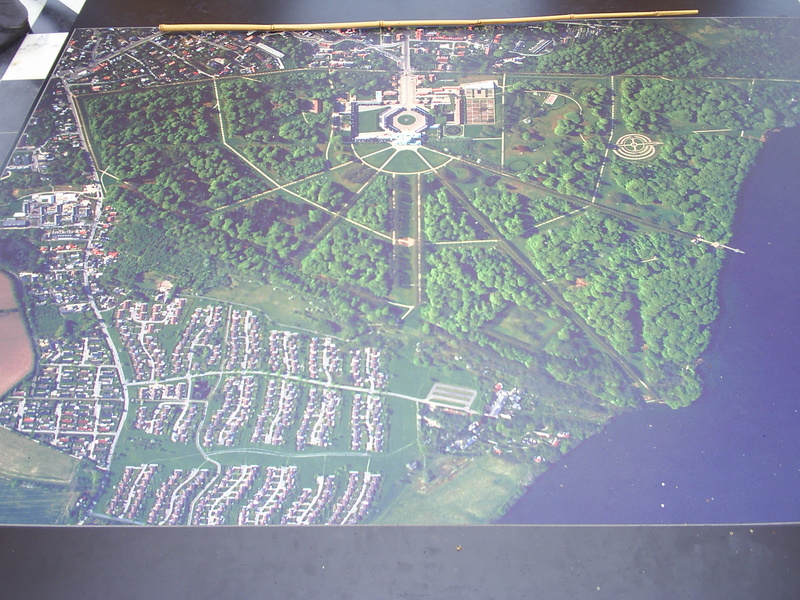 Map og Fredensborg Castle and Baroque Garden with surroundings. Photo 2. october 2916 by Erik K Abrahamsen. 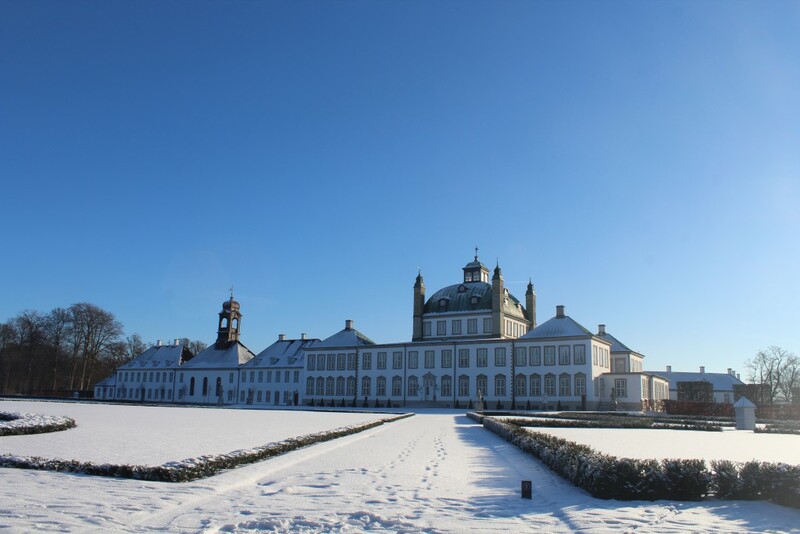 From 1722-31 he expanded the hunting castle Fredensborg Castle by architect I. C. Krieger, who draw and created the baroque garden and Parforce hunting area in the forest with 7 open avenues radiating from centre of Fredensborg Castle. From Fredensborg Castle all non participants of the Parforce hunting had a excellent view to the forest caused of those 7 open avenue of gravel walks and grass. Since 1887 Parforce Hunting has been forbidden in Denmark and was succeeded by Hubertus Hunting: a symbolic ride in forest on horses and in attendance with dogs. Entrance to Fredensborg Castle. Photo 22. january 2016 by Erik K Abrahamsen. Entrance to Fredensborg Castle builded 1720-76. Photo 22. january 2016 by Erik K Abrahamsen. 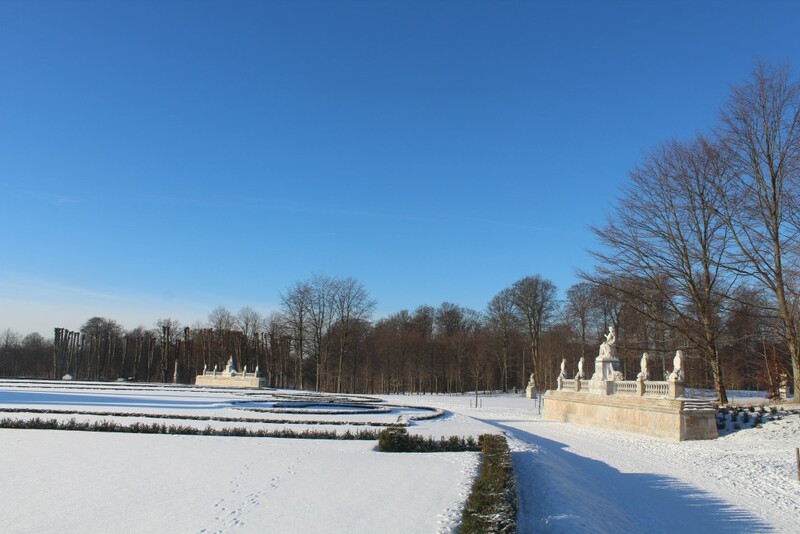 Fredensborg baroque garden at north side with the elevated half circular Parterre area. Photo 22. january 2016 by Erik K Abrahamsen. 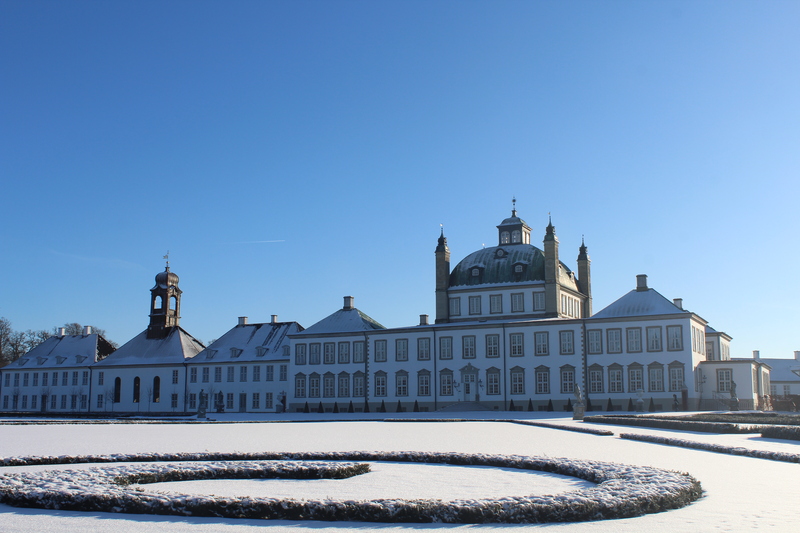 Fredensborg baroque garden – a elevated half circular Parterre area in front of north side of Fredensborg Castle. In front of photo one of 7 radiating gravel walks and grass with centre on terrace to room opening on to the garden, “Havestuen”. Photo 22. january 2016 by Erik K Abrahamsen. Kong Frederik 4 (1699-1730), king of Denmark and Norway builded Fredensborg Castle as a memory on Denmark/Norway´s “The Big Nordic War” against Sweden and the peace agreement to stop the 200 years war between Denmark/Norway and Sweden. Denmark/Norway agreed now that they have lost the old Danish/Norwegian provinces: Bohuslaen, Skaane, Halland, Blekinge and Haerjedalen and Jaemtland in Norway to Sweden. This peace agreement in 1720 is the beginning of a long 80 years peace period in Scandinavia untill Denmark´s war with England 1801-14 and the defeat of Denmark and its alliance partner France. The european peace agreement “Wienerkongressen” in 1815 decided, that Norway left the 434 years (1380-1814) union with Denmark and became union with Sweden. In 1760-70 the danish sculptor Johannse Wiedewelt (1731-1802) created this unique monuments of Denmark´s and Norway´s common empire (union) with a great varieties of symbols. 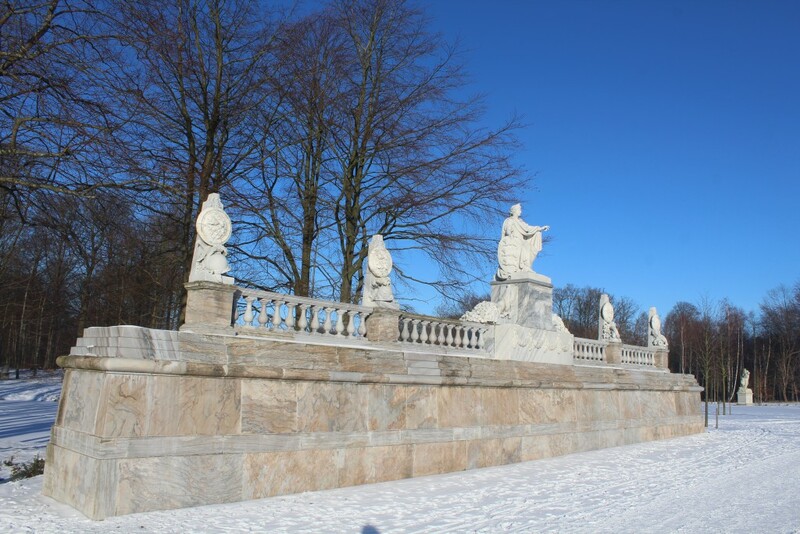 Government Administration of Castle and Culture Properties (Styrelsen for Slotte go Kulturejendomme, Slots- og Kulturstyrelsen) implementet 2008-13 a renewal plan of all vegatations and sculptures in Fredensborg Castle Baroque Garden. Denmark and Norway Monuments were new cut by professional stone masons – the fundament in blue-green norwegian marble and the symbols and figures in italian white marble from original sculptures by Johannes Wiedewelt. 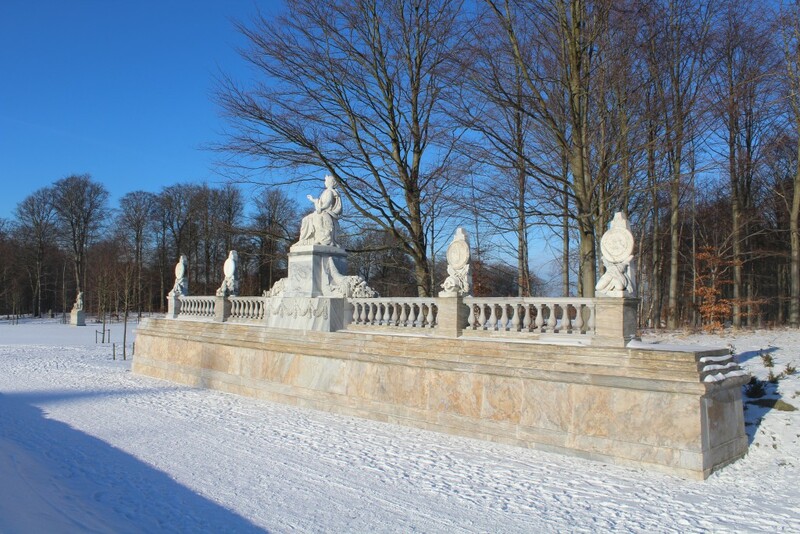 The 4 sculptures in “Brede Allé”: “Elopement” (“Bortførelsen”/”Redningen”) were new cut by professional stone masons in bremer sandstone from original sculptures by Johannes Wiedewelt. 4 sculptures “Trochee” with spoils of war on top of plinth in center part of “Brede Allé” were repaired by professional masons. 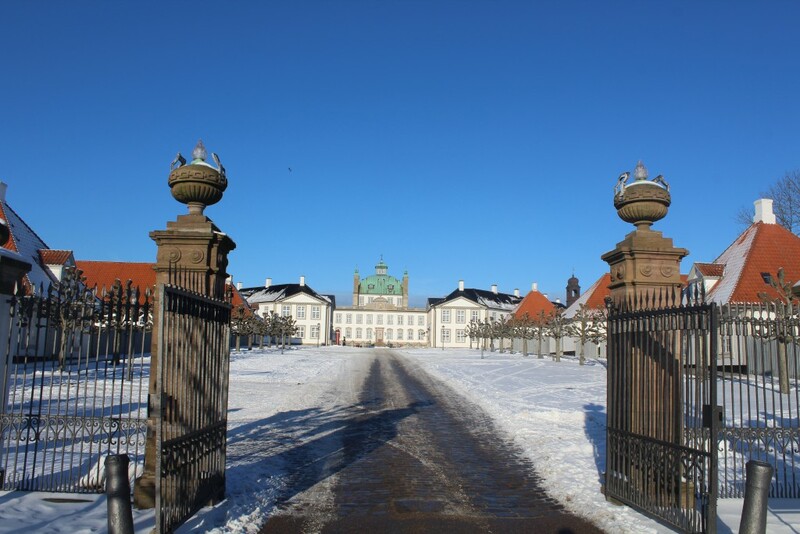 The renewed Fredensborg Castle Baroque Park was inaugurated the 17. september 2013 by Her Majesty Queen Margrethe the 2 and Prince Henrik. Fredensborg Castle Baroque Garden – at left the elevated half circular Parterre baroque garden area. 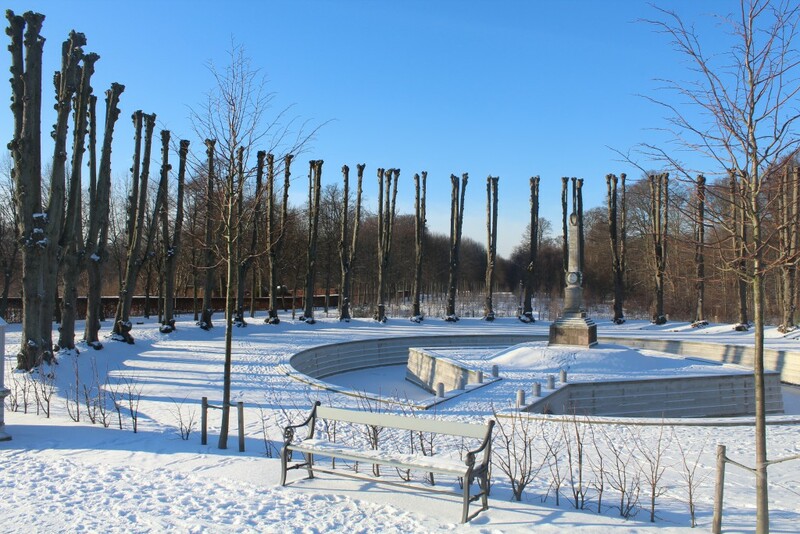 In front right on photo is Norway Monument and left is Denmark Monument celebrating the union since 1380 between Denmark and Norway.Photo in direction west 22. january 2016 by Erik K Abrahamsen. New cut foundation in blue/green norwegian marble and statue and symbols new cut in italian white marble. Norway Monument by danish sculptor Wiedewelt 1760-70. Photo 22. january 2016 by Erik K Abrahamsen. 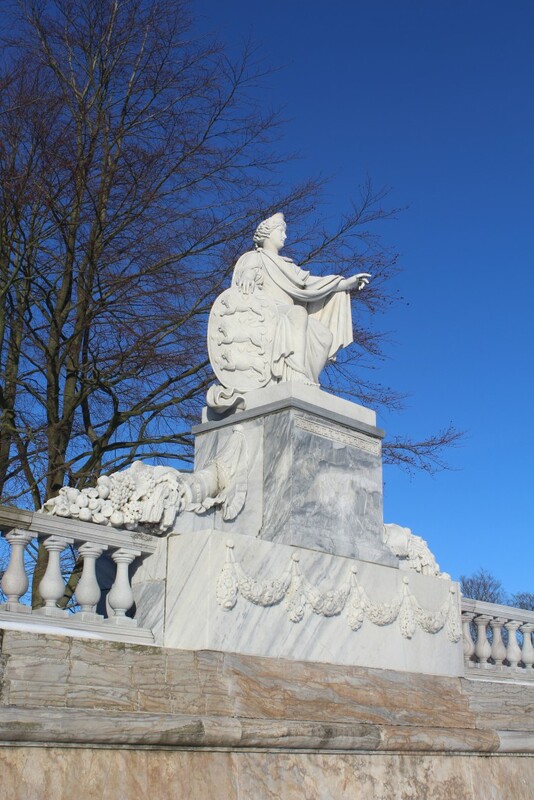 Norway Monument by sculptor Wiedewelt 1760-70. Photo 22. january 2016 by Erik K Abrahamsen. Denmark Monument in Fredensborg Castle Baroque Garden. Created by danish sculptor Johannes Wiedewelt 1760-70. At left the half circular elevated Parterre baroque garden area at north side of the castle. Photo 22. january 2016 by Erik K Abrahamsen. Denmark Monument by sculptor Wiedewelt 1760-70. Photo 22. january 2016 by Erik K Abrahamsen. 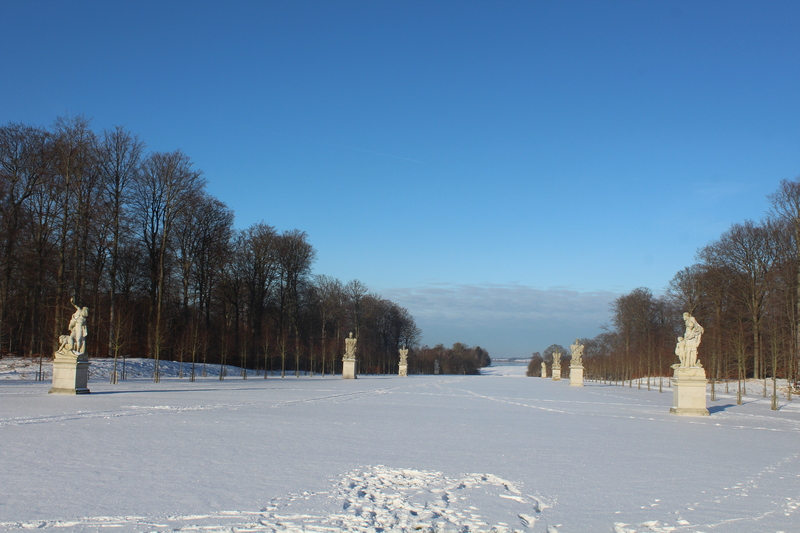 “Brede Allé” is an open rectangular open space created in an avenue with trees in dubble rows on both sides of the avenue. 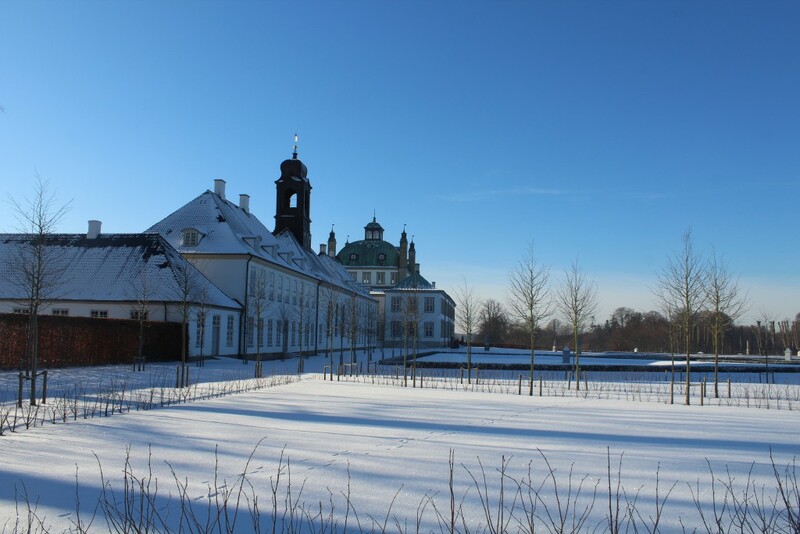 Fredensborg Castle baroque garden. “Brede Allé” created by architect J. H. Jardin 1760-70 with 8 sculptors by Johannes Wiedewelt 1760-70. Photo in direction north to Esrum Sea in the distance. Photo 22. january 2016 by Erik K Abrahamsen. Sculpture “Elopement” (“bortførelsen”/”Redningen”): Aeneas and Anchises. Sculpture new cut 2008-13 in bremer sandstone. 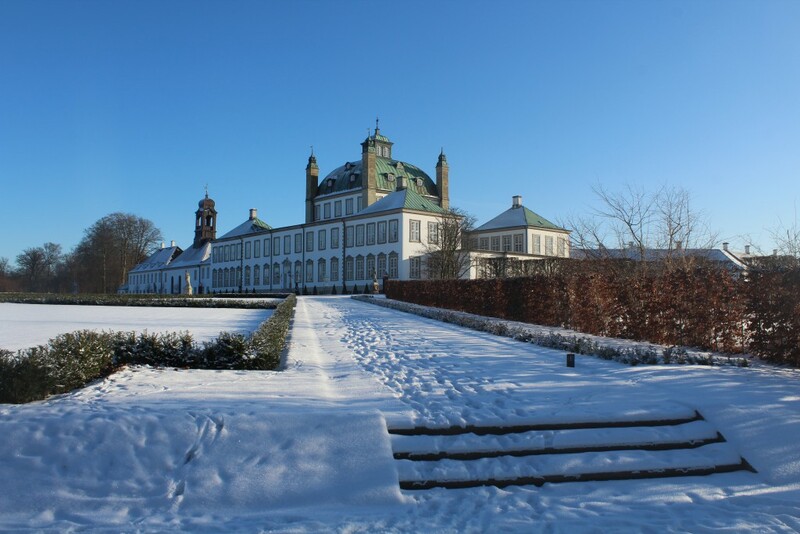 “Brede Allé” in Fredensborg Castle Baroque Garden. Sculpture new cut in Bremer sandstone “Elopement” (Bortførelsen/Redningen) by Wiedewelt 1760-70. Photo 22. january 2016 by Erik K Abrahamsen. “Brede Allé” in Fredensborg Castle Baroque Garden. Sculpture “Elopement” (Redningen) by Wiedewelt 1760-70. Photo 22. january 2016 by Erik K Abrahamsen. Sculpture “Elopement”, Paris and Helena by Wiedewelt 1760-70 in “Brede Alle”, Fredensborg Castle Baroque Garden. View in direction north to Esrum Sea. Photo 22. january 2016 by Erik K Abrahamsen. 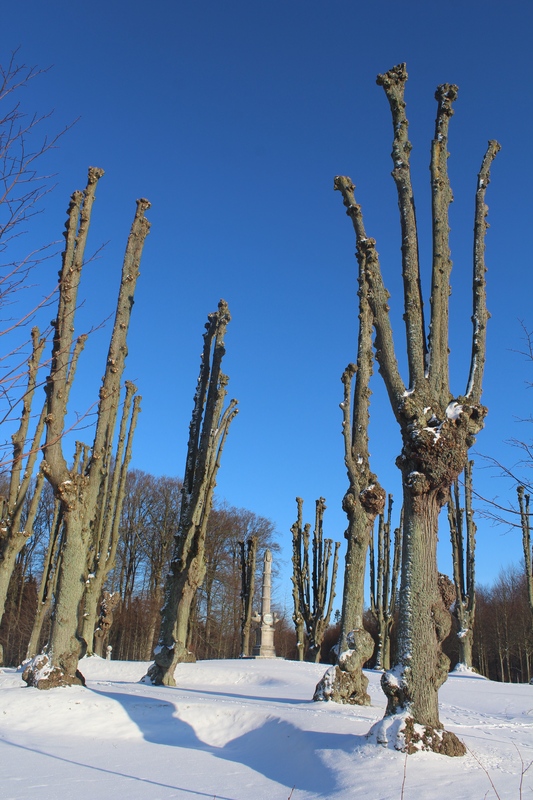 “Brede Allé” in Fredensborg Castle Baroque Garden. Sculptures by Wiedewelt 1760-70. Photo 22. january 2016 by Erik K Abrahamsen. Sculpture “Elopement” (“Bortførelse”), Perseus and Andromeda. Perseus free Andromeda chained to a rock. Sculpture “Elopement” (“Bortførelse”) Zephyr and Flora. The young man Zephyr carry goodness of flowers Flora on his left arm. Sculpture “Elopement”, Zephyr and Flora by Wiedewelt, “Brede Allé”. View in direction south to Fredensborg Castle. Photo 22. january 2016 by Erik K Abrahamsen. 4 sculptures “Trochee” with spoils of war on top of plinth. On bottom of plinth is a lion with a ball at its paw. 4 sculptures “Trochee” repaired 2009-13. 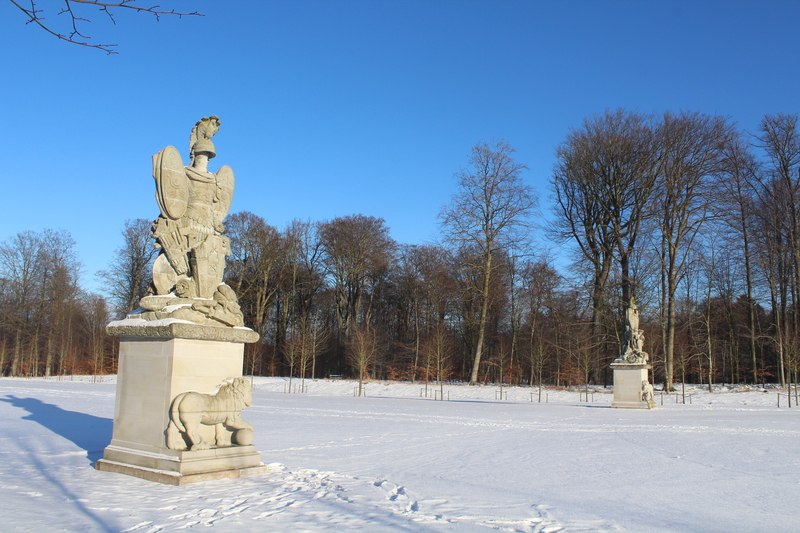 Sculptures “Trochee” created by Wiedewelt 1760-70 in “Brede Allé”, Fredensborg Castle Baroque Garden. Photo 22. january 2016 by Erik K Abrahamsen. Sculpture “Trochee” by Wiedewelt 1760-70 in “Brede Allé”. 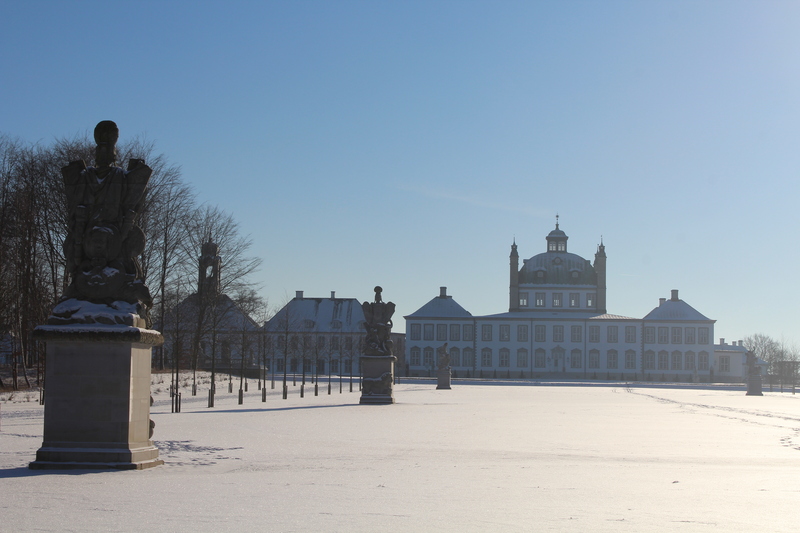 View in direction south to Fredensborg Castle. Photo 22. january 2016 by Erik K Abrahamsen. 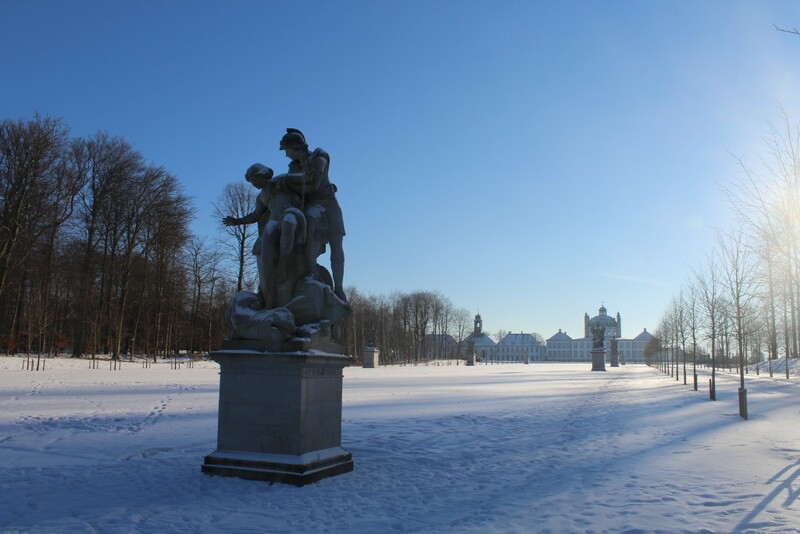 Fredensborg Casle and Baroque Garden. In front of north side of the castle: elevated half circular Parterrebaroque garden area. Photo in direction south-east the 22. january 2016 by Erik K Abrahamsen. 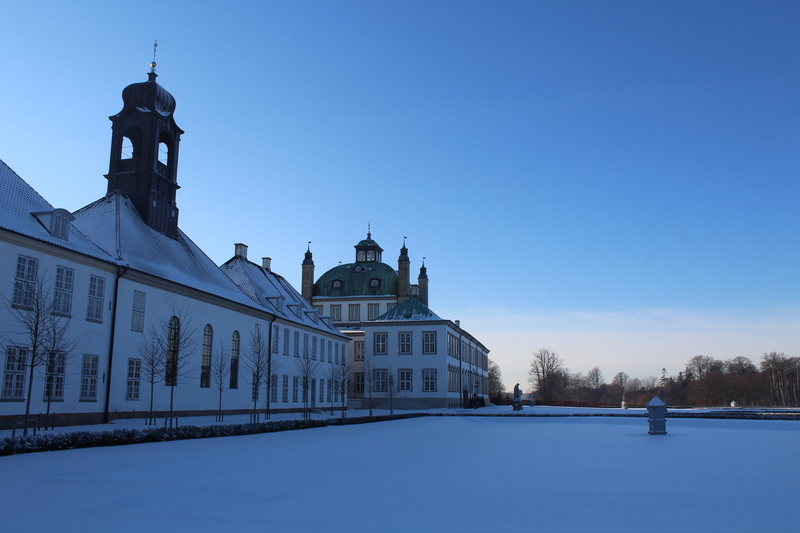 Fredensborg Castle and Baroque Garden. 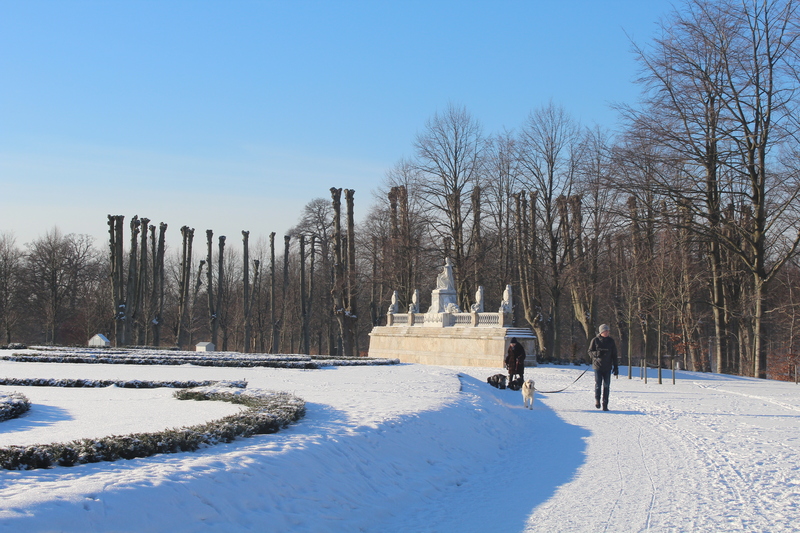 In front the elevated half circular Parterre baroque garden area. Photo 22. january 2016 by Erik K Abrahamsen. 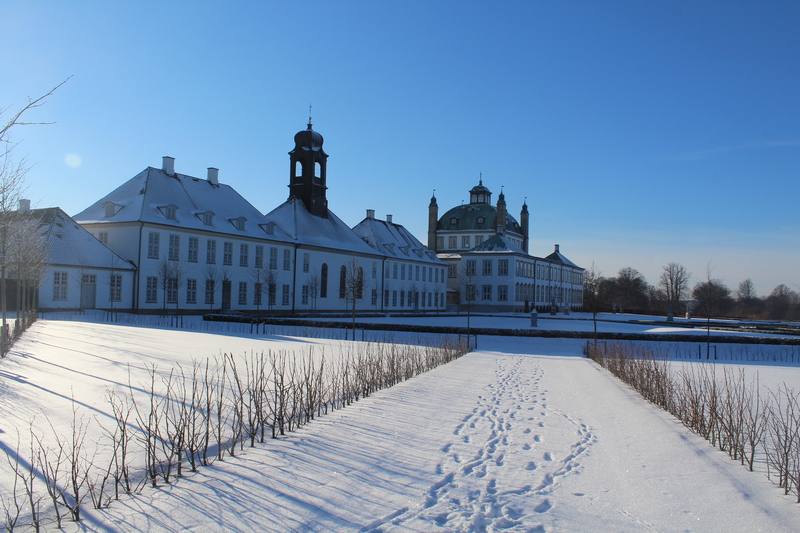 Fredensborg Castle Baroque Garden. Garden space “Ballonpladsen” with lion, obelisk in a circular basin around a 4-edged island. Photo 22. january 2016 by Erik K Abrahamsen. Obelisk in Fredenborg Castle Baroque Garden. Photo 22. january 2016 by Erik K Abrahamsen. Fredensborg Castle Baroque Garden. Photo in direction west 22. january 2016 by Erik K Abrahamsen. 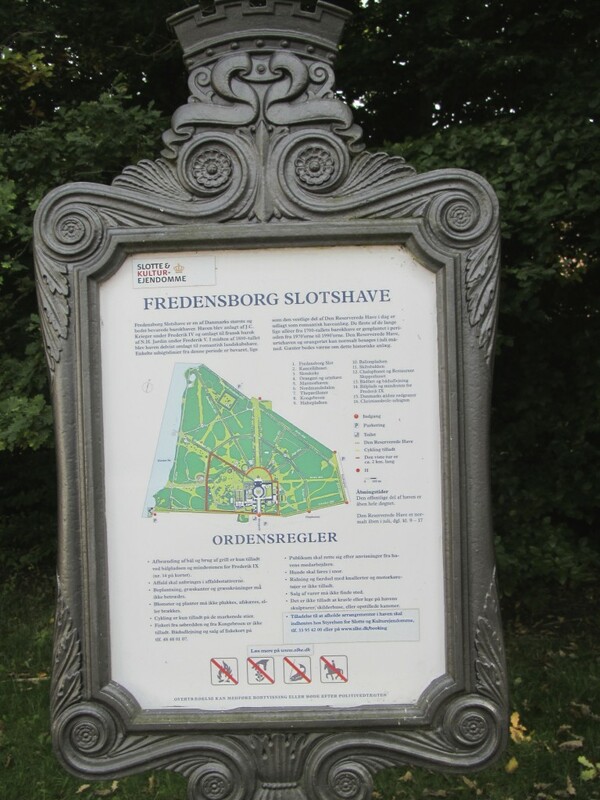 Map of Fredensborg Castle Baroque Garden and surroundings. At right on photo Esrum Lake. Top of photo is north. Photo august 2013 by Erik K Abrahamsen. All my photos in this article and all my photos in 136 articles (about 1000 photos) on my homepage Danculture.dk and in my 36 articles on my second homepage Erik K Abrahamsen Blog (tvndk.wordpress.com) are unique – no photos are manipulated by cutting, sharpness, color etc. – what I see through my digital camera lens is what I install in my articles. That is realism and that is my photo philosophy! 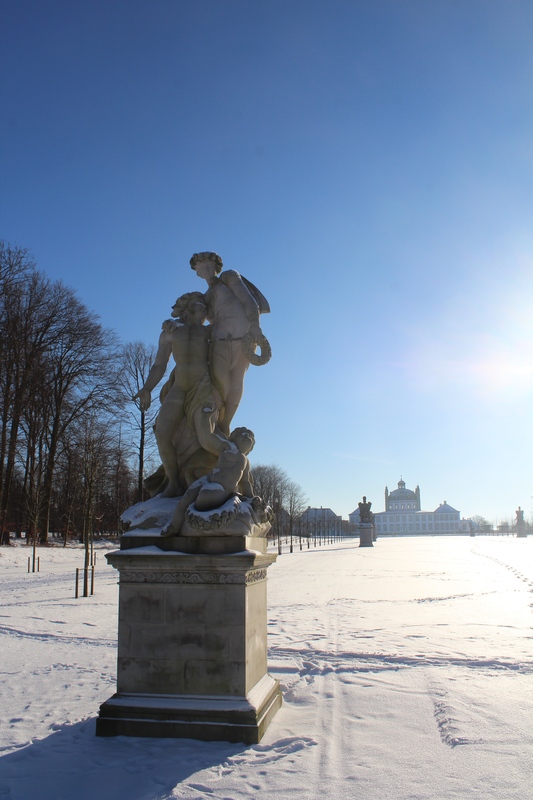 Fredensborg Palace Garden recreated – a pearl in european baroque garden architecture. Click on headline HISTORIE and click on “Older Entries”. Celebration of NATO´s 70 years anniversary 1949-2019 at The National Monument in honour of danes in international mission since 1948 – Kastellet Fortress, Copenhagen. 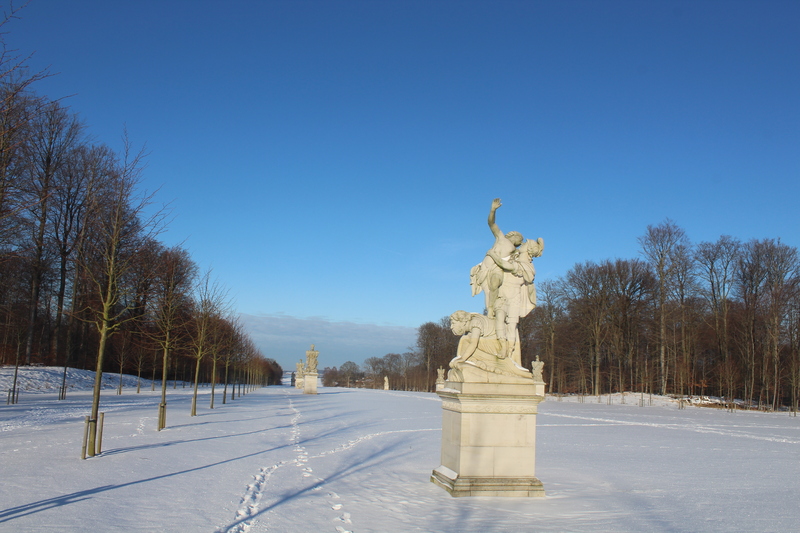 Spring 2019 in Copenhagen – visit cherry blossoms (Sakura) avenue at Bispebjerg Cemetery, The Grundtvig´s Church and Frederiksberg Gardens with Swiss Cottage, Elephant viewpoint, Artificial waterfall, Pacifier tree and Frederiksberg Palace built 1699-1703.